Facebook is far from immune to tinkering with its News Feed, but its recent experiment has been deemed a complete failure. Last year, the Explore Feed received a limited public launch following a period of beta testing, effectively separating news from friends and posts from pages. Several months later, Facebook has realized what we probably could have told it from the offset: "People don't want two separate feeds." The company was heavily criticized by those living in the countries where the experiment ran, as they said it was harder to find important information. Facebook admits that "people told us they were less satisfied with the posts they were seeing, and having two separate feeds didn't actually help them connect more with friends and family." 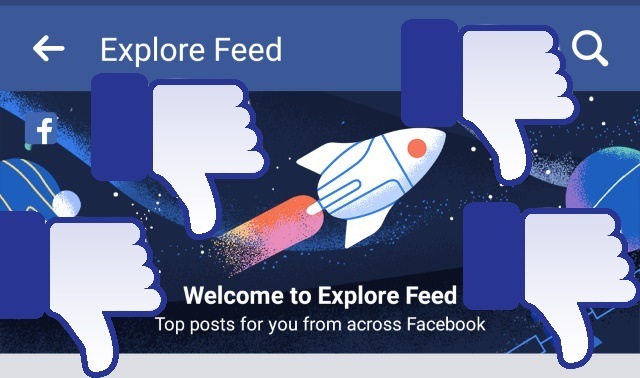 The Explore Feed experiment only ran in Sri Lanka, Guatemala, Bolivia, Cambodia, Serbia and Slovakia, and it was also made available as an option to Facebook users in the US. We also received feedback that we made it harder for people in the test countries to access important information, and that we didn't communicate the test clearly. We're acting on this feedback by updating the way we evaluate where to test new products, and how we communicate about them. Separately, we're also discontinuing the Explore Feed bookmark globally this week. Explore gave people a new feed of content to discover Pages and public figures they hadn't previously followed. We concluded that Explore isn’t an effective way for people to discover new content on Facebook. Whether Facebook learns a lesson from this failed experiment, and the complaints from those affected by it, remains to be seen.